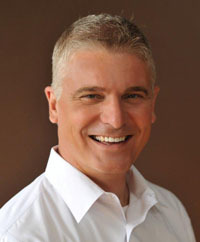 Freddy Wenzel has been a part-time real estate agent with Wenzel Select Properties since June 2005. His main concentration has been to gain knowledge of the residential real estate market and focus on building a clientele for life. By trade, Freddy is an Aircraft Maintenance Manager and has worked with his current employer for thirty plus years. Freddy’s background coupled with his attention to detail and distinct sense of home repair makes him an invaluable asset to his buyers during the home touring/inspection process. Recently, Freddy began purchasing run-down single-family homes and commercial properties that were in need of repair. To-date, he has repaired and upgraded two single-family homes to a livable state and has rented both to families in need of a place to call home. Currently, he is working on a multi-use building located on Main Street in Downers Grove with two residential apartments on the second floor and a commercial unit on the first floor. This will be the future home of Wenzel Select Properties. Freddy moved from the north side of Chicago to the Western Suburbs over 26 years ago and considers Downers Grove Home! In the short time, Freddy has been with Wenzel Select Properties, he has become a true asset to the corporation.